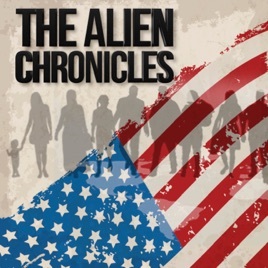 Love The Alien Chronicles podcast! What an amazing contribution this podcast is making to the national conversation on immigration and to enriching our world with these beautiful, poignant, fascinating, insightful and brave immigration stories. Saadia is a deeply intelligent, engaging and all around fabulous host, and her guests have just astounded me with the breadth of their experiences, achievements and insights. I love hearing the diversity of voices, accents, and perspectives on this podcast. It is a truly unique creation, and our society needs it. Bravo Saadia! Wonderful podcast highlighting the struggles, experiences sometimes good some not so good of people from all walks of life and cultures trying to amalgamate in the country we all love and our familiar with as the melting pot of the United States if America . Sometimes we forget to connect to people at a personal level and this podcast shares exactly that ... looking at things on a micro level for the individuals perspective . Immigrants add color and flavor to this land of opportunity as we all know it . Great effort ! Wonderful idea for a podcast and so important, especially in the current political climate. It’s a safe space for immigrants to share their stories. Saadia’s graceful yet challenging guidance provides the listener with a thought provoking experience.